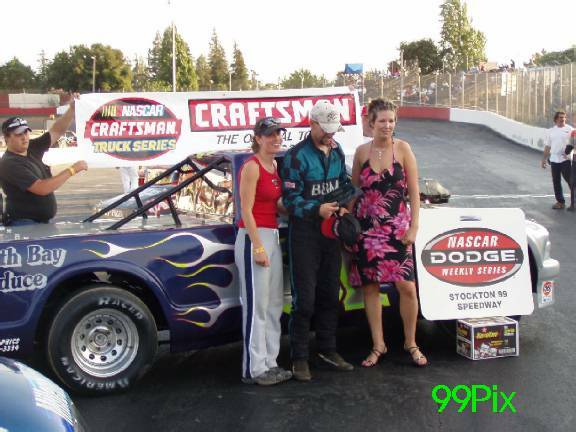 Aug 2, 2003. . .Stockton 99 Speedway hosted the CRAFTSMAN NIGHT last Saturday for the NASCAR DODGE WEEKLY SERIES. 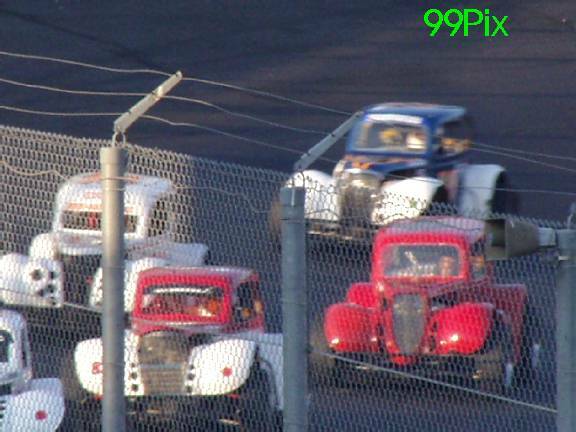 Drivers climbed behind the wheel, challenged the competition and battled for division points and a checkered flag. 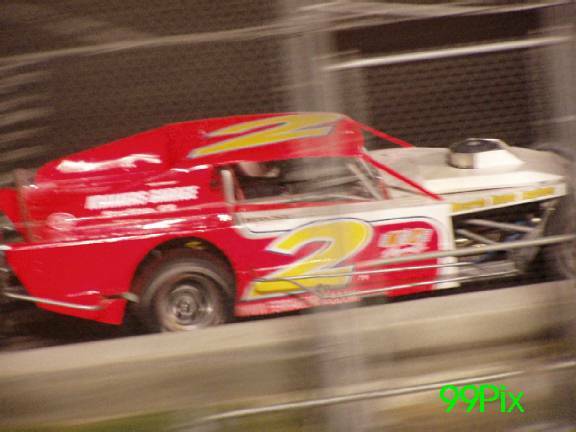 Five big main events included Western Late Models, Pure Stock, Grand American Modifides, Pro 4 Trucks and Legends. The HAVOLINE C.L. BRYANT sponsored division saw top drivers compete for the prestigious win in the Western Late Model Division. Points leader, top qualifier and dash winner Eric Schmidt, #05x, of Roseville climbed into the driver’s seat to defend his July 26th victory last Saturday. 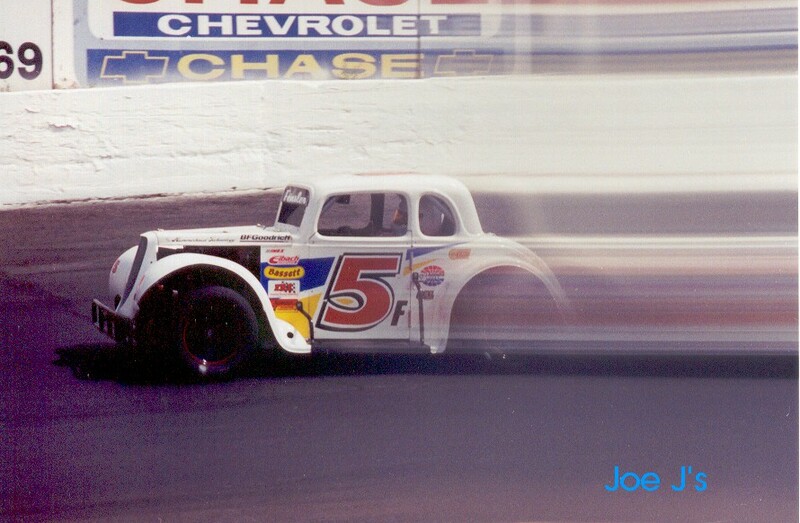 Pole sitter Pete Anderson, Jr., #5, of Stockton quickly lost the lead to top-notch NASCAR driver Harry Belletto, #74, of Modesto. Belletto maneuvered past Anderson, Jr. from the inside capturing the lead. Schmidt saw a window of opportunity to pass Anderson, Jr. in lap five and made his move without hesitation. “Big” John Moore of Granite Bay chased Anderson, Jr. in fourth. 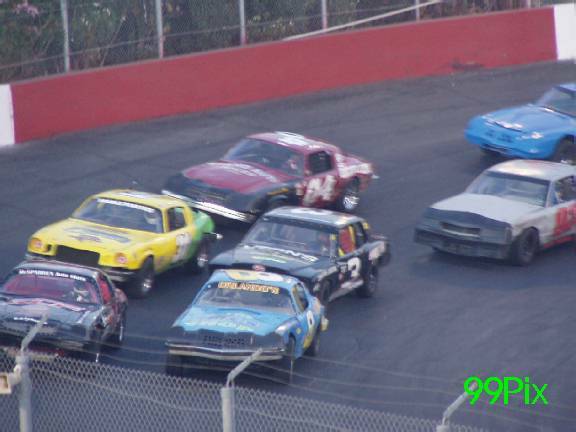 Moore was able to move into third after Anderson, Jr. coasted to a halt in turn one, and was unable to participate for the remainder of the race. Belletto made every attempt to defend his lead position, as he went head to head with Schmidt half way through the race. Schmidt made a gutsy move from the inside and muscled his way past Belletto to take the lead. A standing ovation from the crowd greeted Schmidt as he crossed the finish line for his fifth victory of the season. Belletto was close behind for 2nd, John Moore came in 3rd, Burney Lamar, #9, of Sacramento finished 4th and Danny Guibor of Manteca took 5th. 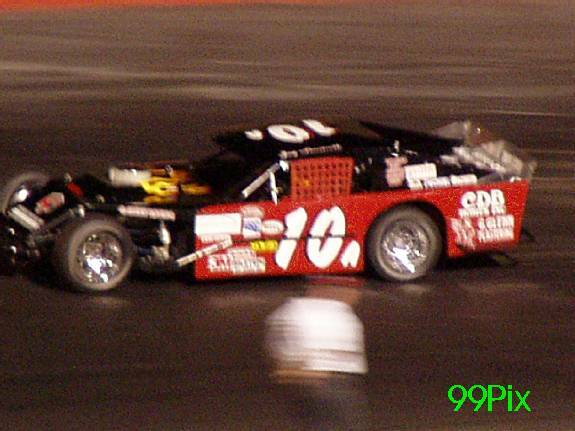 In the Grand American Modified Division points leader and top qualifier, Jay Linstroth, #10a, took the lead after passing pole sitter Jason Philpot, #5, of Sacramento from the outside on the first lap. 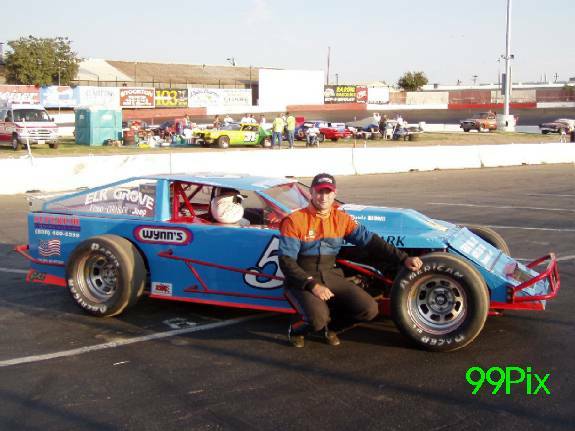 Linstroth executed a brilliant drive at the high-banked quarter mile paved oval leading the pack and capturing his seventh checkered flag victory of the season and third straight win. Philpot trailed the untouchable Linstroth for over one third of the race until Greg Williams, #2, of Ceres came from the inside and passed Philpot. Williams maintained his position and placed 2nd, Philpot followed for 3rd, Tim Smith of Roseville came in 4th and Victor Machado, #73, finished 5th. In the popular Pure Stock Division Aaron Shankel, #47j, of Lodi was in hot pursuit of leader Brian Miller, #20, of Railroad Flat after the start. Shankel quickly moved around Miller for a twelve-lap lead until Richard Harper, #5, of Stockton went two wide with Shankel midway through the race. Harper darted in front of Shankel from the outside for the sixteenth lap lead. 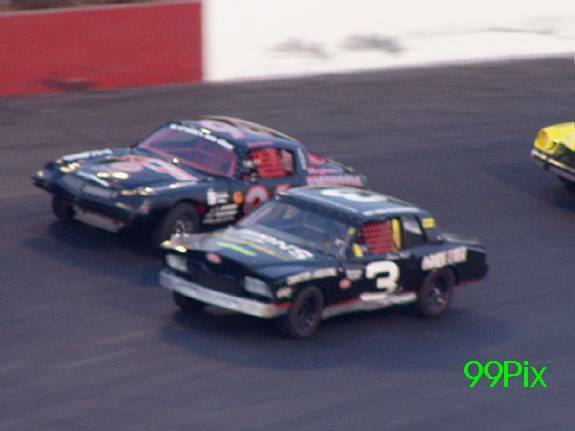 Kannai Scantlen of Stockton and Steve Hall, #3, of Manteca chased the leader in pursuit of second, going two wide. Scantlen hastily sprinted past Hall for second. 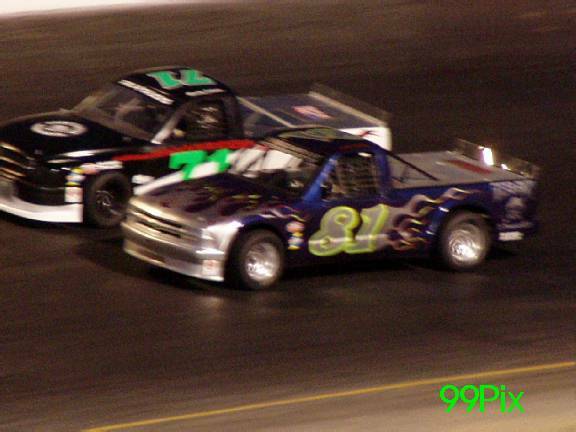 Boyd Camper of Manteca and Joe Allen connected shortly after causing an upset and a caution flag. 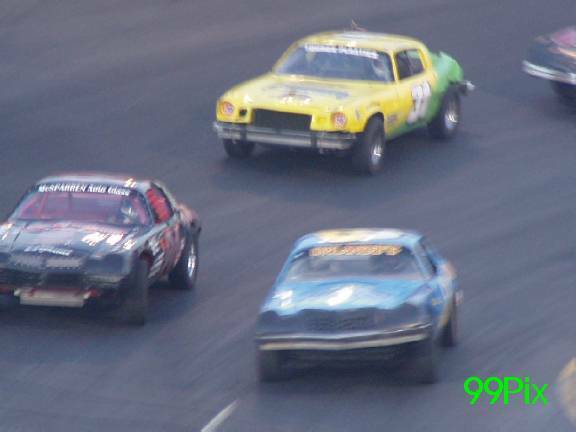 Harper went full throttle after the restart leading the pack, Scantlen followed in second and Shankel raced into third. Johnny Cordoza of Manteca trailed Shankel. Cars were clashing and connecting all over the track in the final third of the race. Cordoza and Shankel made contact sending Cordoza and his mangled car into the pits. After another caution flag, Scantlen sprinted ahead for the lead. 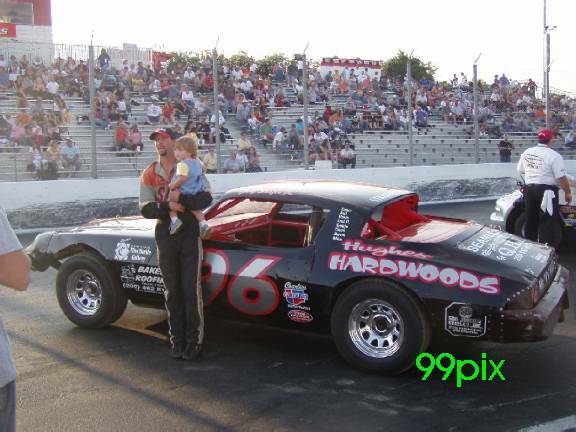 Dash winner Gary Shafer, Jr., #96, was at Scantlen’s bumper and Harper took the third position. Harper hugged the inside line opening up an opportunity for Shafer to speed into second. 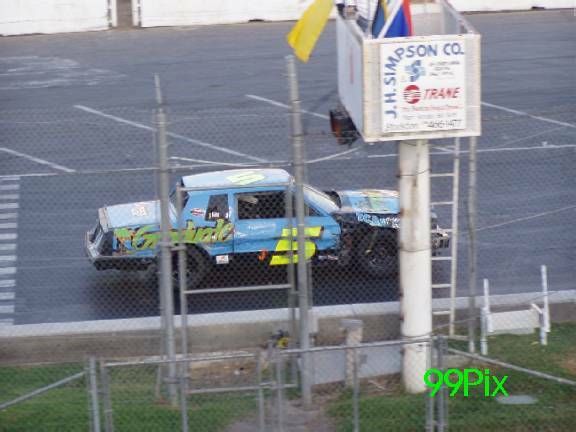 With three laps remaining Shafer, Jr. used the final caution flag to his advantage. Shafer, Jr. went full throttle for the lead resulting in victory. Hall and Allen followed Schafer, Jr. going side by side with Allen winning the battle and placing 2nd, Hall quickly passed the finish line for 3rd, Ahl was 4th and Tom Dahl of Stockton placed 5th. 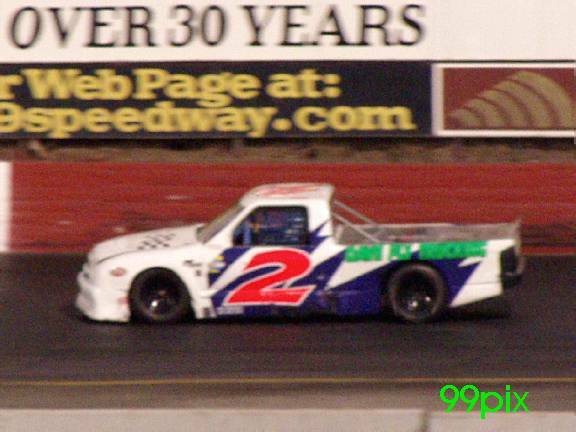 Trophy Dash winner Bret Barney, #81, of Rohnert Park claimed his second season victory in the Pro 4 Truck division. 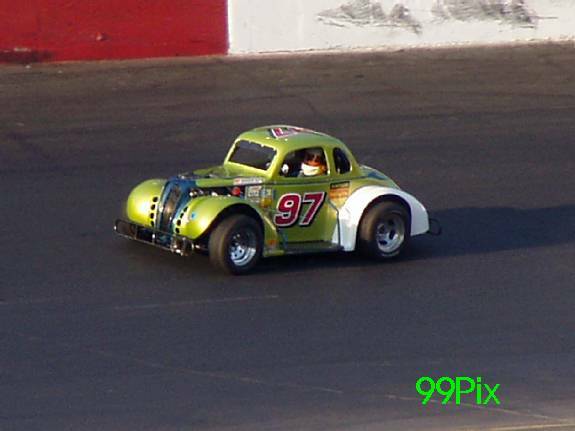 Randy Jahoda, #71, of Tracy held a seven-lap lead after the start. 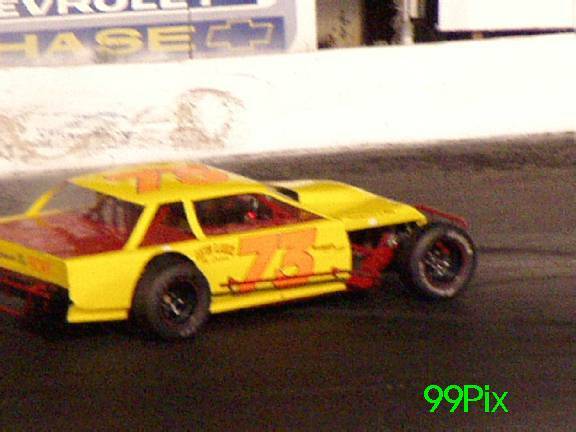 Richard Delguidice of Patterson followed Barney in second, but lost his momentum and fell into fifth on lap three. Manteca native Michael Brooks went wide on lap three opening a hole for Barney to dive low and move into second. Brooks worked hard to retain third, but Brandon Trevethan of Tracy made a clean sweep from the inside using all the horsepower he could muster to move past Brook’s for the lead. It was an all out battle for first between Jahoda and Barney. Barney chased Jahoda going low on turn four attempting to take the lead from the inside. After a caution flag in lap thirteen, due to a spin out by Todd Lewis, #2, of Riverbank, Barney swiftly moved back into the lead following the restart and remained in first for an exciting victory. Jahoda followed in second until Trevethan passed in lap seventeen resulting in a 2nd place finish. Jahoda was able to finish 3rd after being challenged by points leader Carrie Miller of Saratoga who placed 4th and Mike Curry of Lodi rounded out the top five with a 5th place finish. 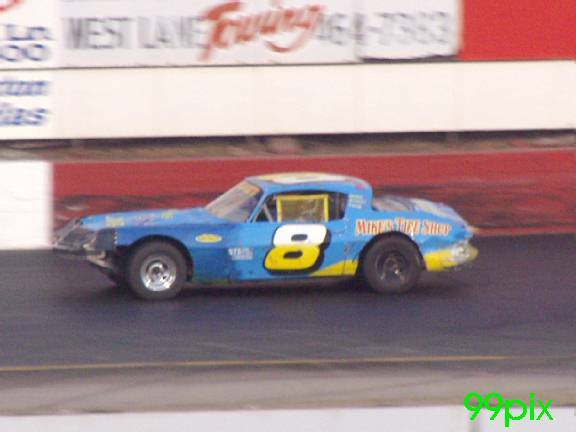 In the Legends Division Pete Currin, #6, of Redwood City bolted into the lead after the start. 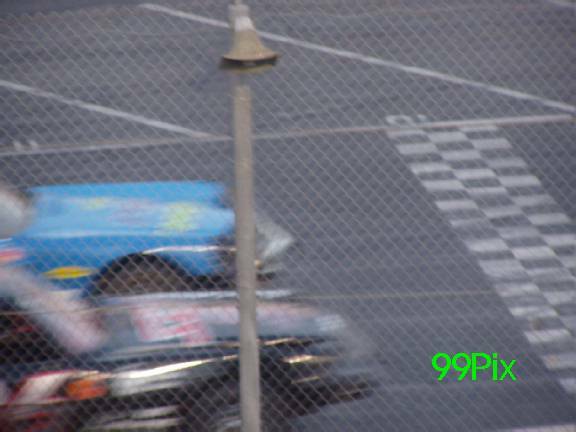 Chuck Scott, #97 of Elk Grove swiftly darted around Currin for a twenty-six lap lead. 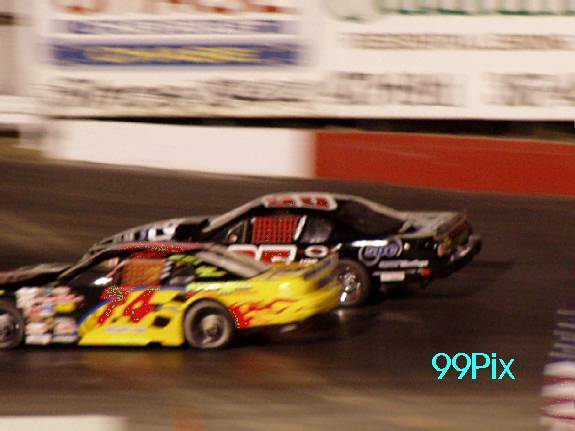 Scott was chased by points leader Steve Fensler, #5, of Elk Grove, until he moved around Currin from the inside. Fensler made every effort to break away, but Richard Appleby, #83, of Yountville challenged his position from the inside, displacing Fensler for second. Tracy’s Jeremy Wood, #22w, and Frankie Winchel, #14, of Sebastopol made contact on lap ten causing the caution flag to fly. Three laps short of the finish Richard Appleby and Scott made contact resulting in another caution flag. Scott started in sixth place on the restart. Pat Appleby and Mark Bailey of San Lorenzo went head to head for the lead in the final laps. Bailey spun out on lap twenty-nine. 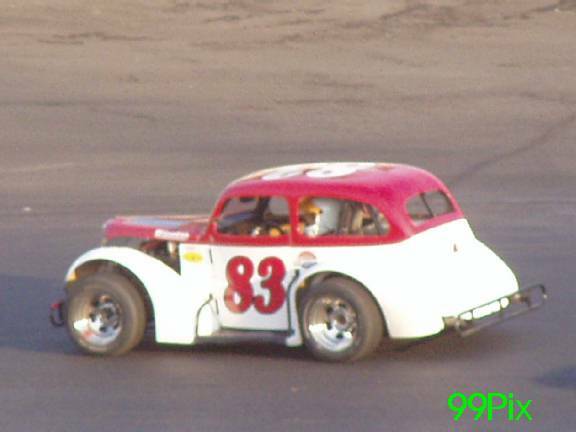 Steve Fensler moved into the lead for the checkered flag. Currin came back for 2nd. Kelly Martin followed for 3rd, Scott was 4th and Jeremy Wood finished 5th. August 9, 2003 is “JUST BORN CANDY KIDS NIGHT”. 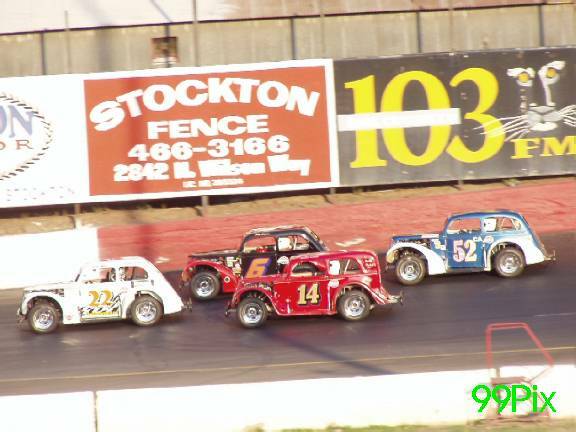 The speedway will host the STOCKTON BOARD OF REALTORS & KIDS NIGHT and will feature five big main events including Western Late Models, Pure Stock, Pro 4 Trucks, Grand American Modifides and Legends. Kannai Scantlen, #8, made a statement Saturday night -- with a certain finger, his backside and his car, too. 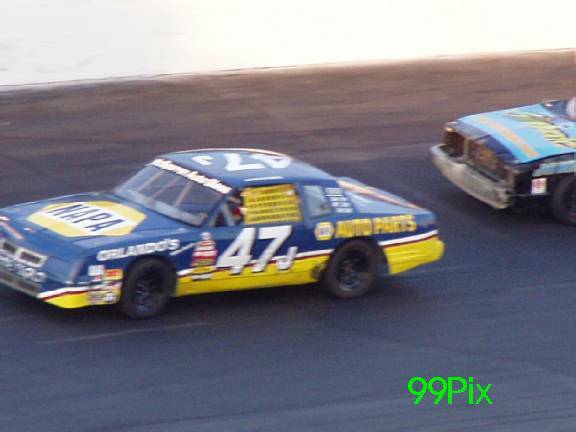 Scantlen was sent from the pole to the second row following two failed restarts on lap 28 of the Pure Stock main event, and that stewed the Stockton driver and many in the crowd at Stockton 99 Speedway. Gary Shafer Jr. of Stockton rushed to the lead following the shuffle and drove to an otherwise impressive victory. Using a completely inverted start, Shafer, the No. 2 qualifier, began the 20-car race 19th. But it was the incident four laps earlier that had the crowd booing and Scantlen in a huff. The call took away his shot at a victory. Scantlen gunned the throttle on successive attempted restarts, which were denied by the starter. Chief steward John Weimar ordered Scantlen moved back a row but not Shafer, who was outside in the front row. Scantlen -- and several fans -- believed both drivers in the front should have been moved back, if at all, after two misfires and not three. Scantlen went to the second row all right, then blew by inside before the green flag. Officials ordered Scantlen to park his car, so he did -- at the start/finish line. "They told me to get off the track, so I got off the track,. 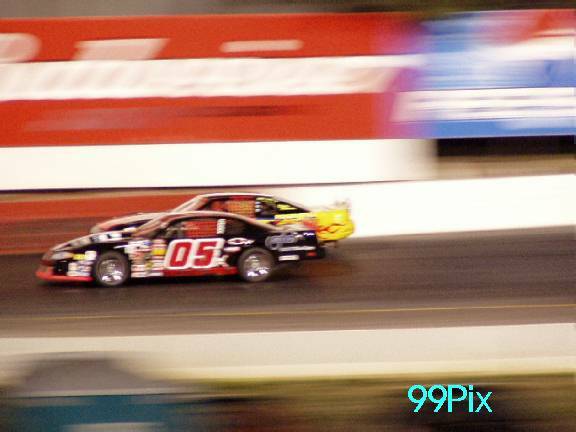 I let them get my car off the track," said Scantlen, who gestured to officials amid cheers of approval from the crowd 1,023. "I've never seen them point and choose one guy to come up. If you're not the favorite, you're a piece of ... . All these cars should be gray with no numbers." Weimar said it was his option "to flop the rows or the guy causing the problem. The 96 (Shafer) was not the problem." Said Scantlen, "That justifies my point. The NASCAR rule says you move the row back. And I was the polesitter. You don't just move the polesitter back. I'm making a start that's good for me." Stockton 99 Speedway officials suspended Pure Stock driver Kannai Scantlen for Saturday's program and fined him $50 for what track general manager Ken Gross described as conduct detrimental to the sport. Scantlen accepted the penalty, even though he now is even more convinced he was the victim of a bad call. ''I wasn't too worried about the penalty they were going to lay down,'' the Stockton driver said Wednesday. Scantlen was moved from the pole to the second row by chief steward John Weimar following two aborted restarts during last weekend's main event. Officials said Scantlen was jumping the gun on the restarts. 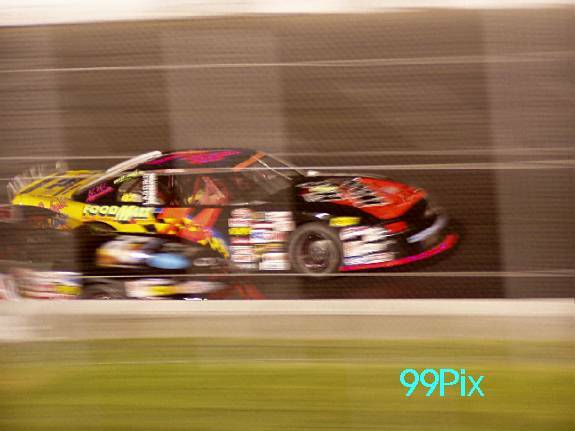 Scantlen was pulled over following the second failed restart and ordered to the second row. 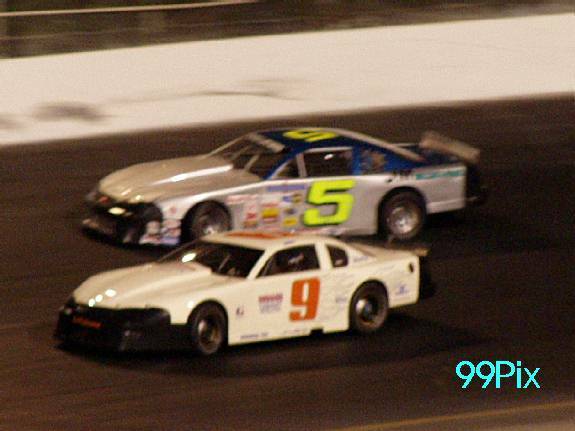 He took his spot in the second row, then responded by dropping below the yellow line inside Steve Hall of Stockton, who replaced him in the front row inside position, and screaming to the front before the restart. 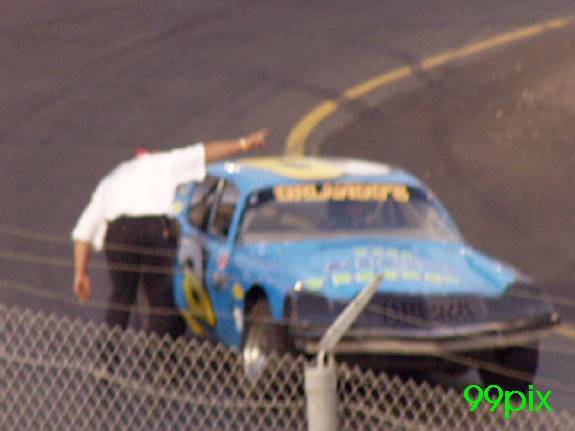 Officials then ordered Scantlen off the track. Scantlen exited his car at the start/finish line, gestured toward officials atop the booth, bent over and patted his backside, then walked to the infield to a round of cheers from the crowd. Scantlen said after the race he'd never seen one driver, and not both, moved out of the front row in seven years of racing at 99. He also said as the pole-sitter, he was setting the pace for the restarts. After watching the race on film, Scantlen stood by his beliefs Wednesday. ''The tape clearly shows I didn't do anything wrong (on the restarts),'' he said. Gary Shafer Jr. of Stockton, who was outside in the front row, finally took the lead on the restart and drove to the win. The call to move only Scantlen back a row didn't sit well with many in the crowd of 1,023, who responded with thumbs-down signs, other gestures and catcalls.